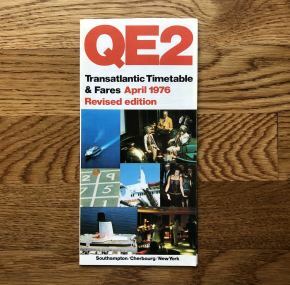 Transatlantic timetable and fares in the April, 1976, revised edition. 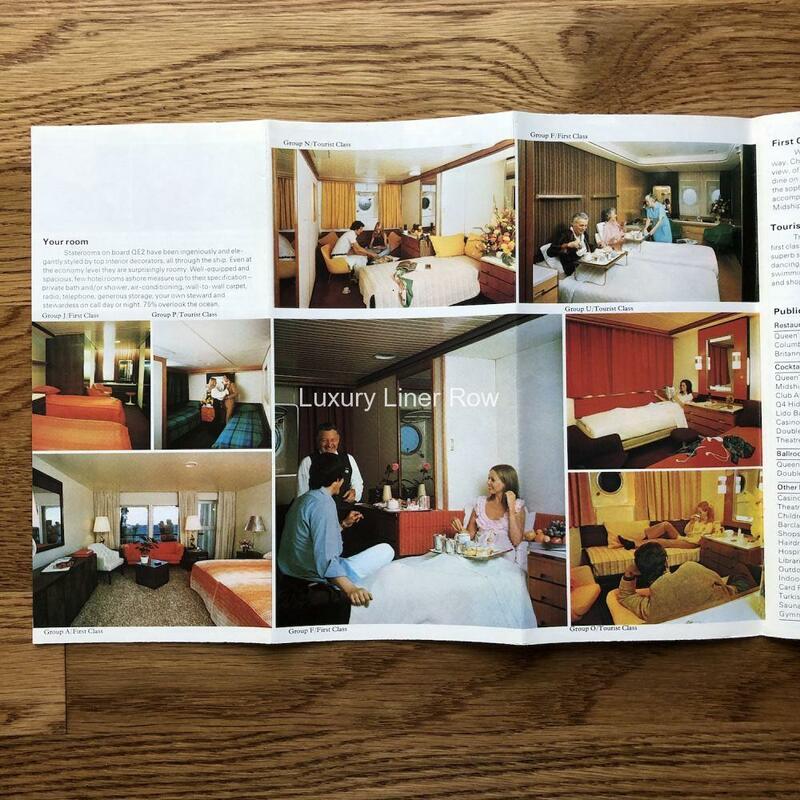 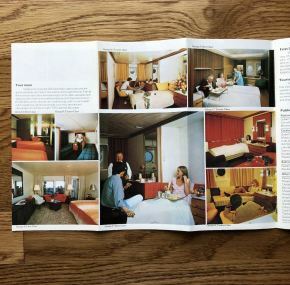 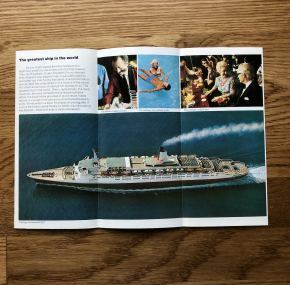 Over 2 dozen color interior and exterior photos of the great liner. Prices in pounds. 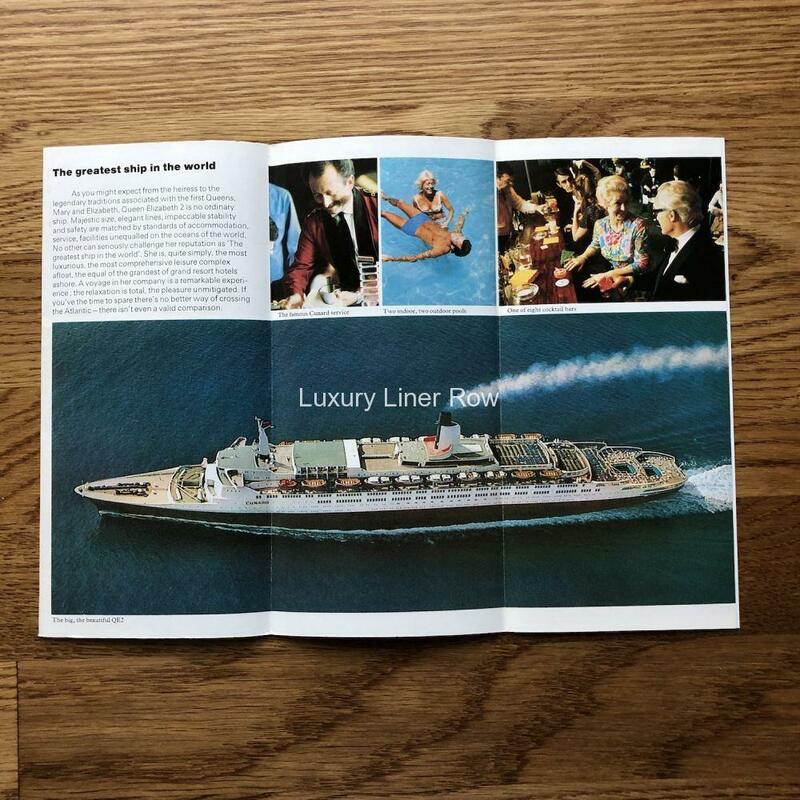 8 pages.